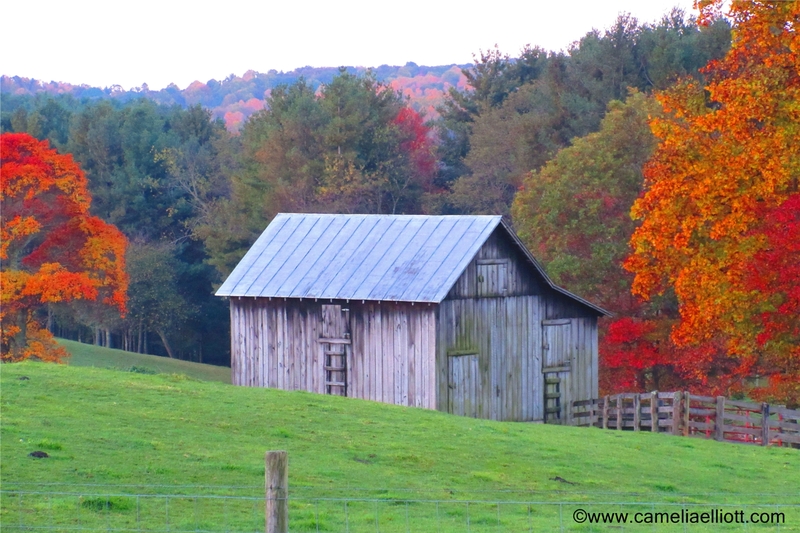 There is something about an old barn with a breathtaking background. 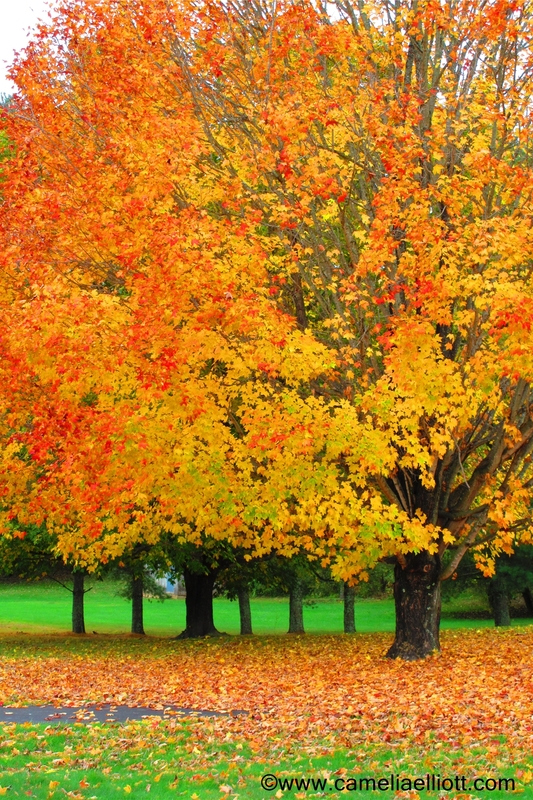 Don’t you just love them? 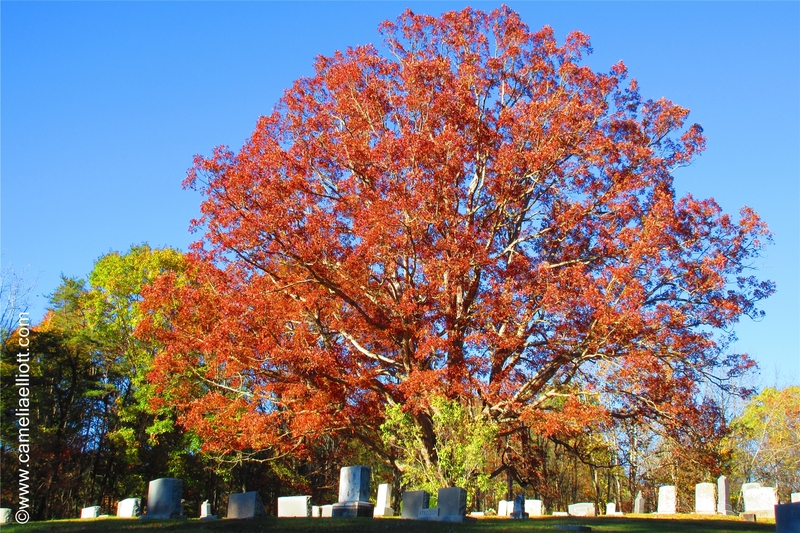 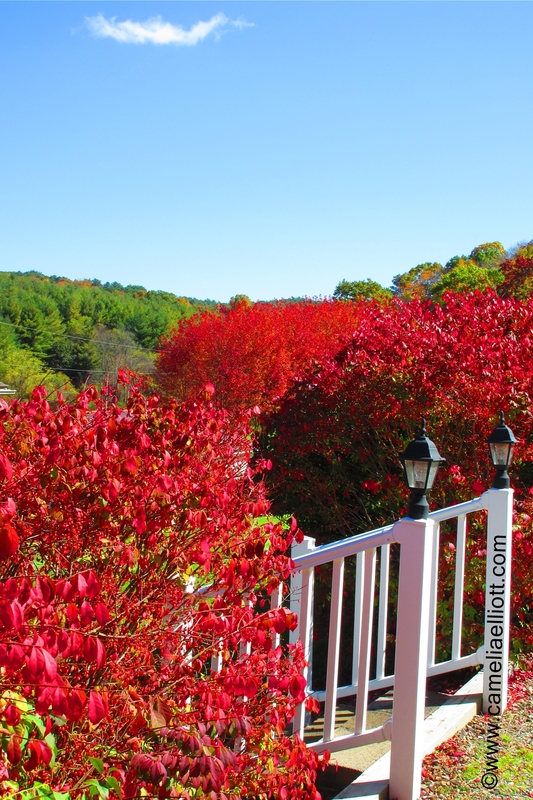 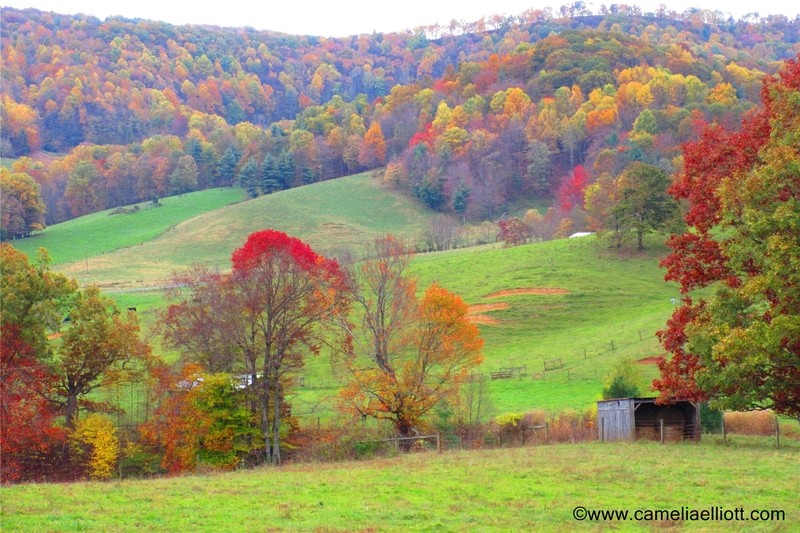 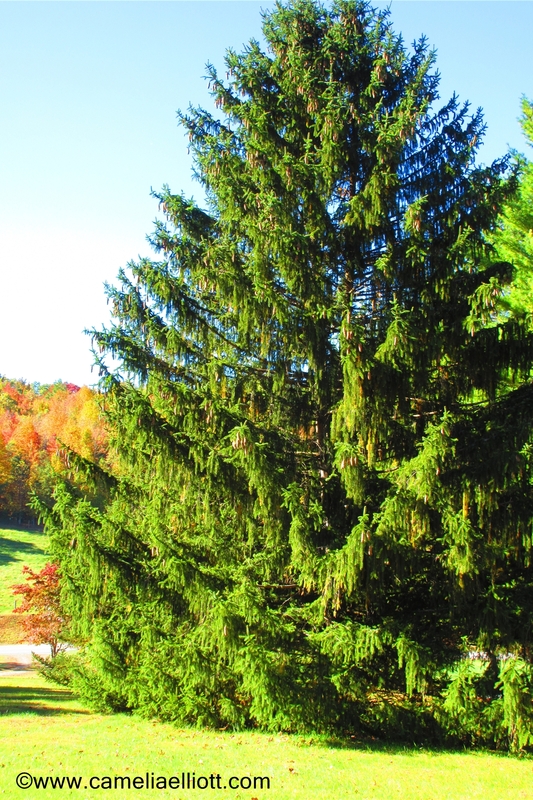 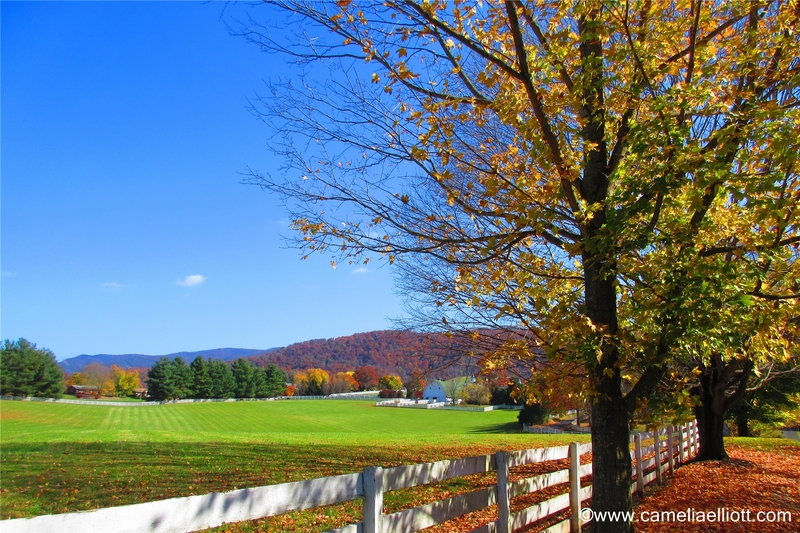 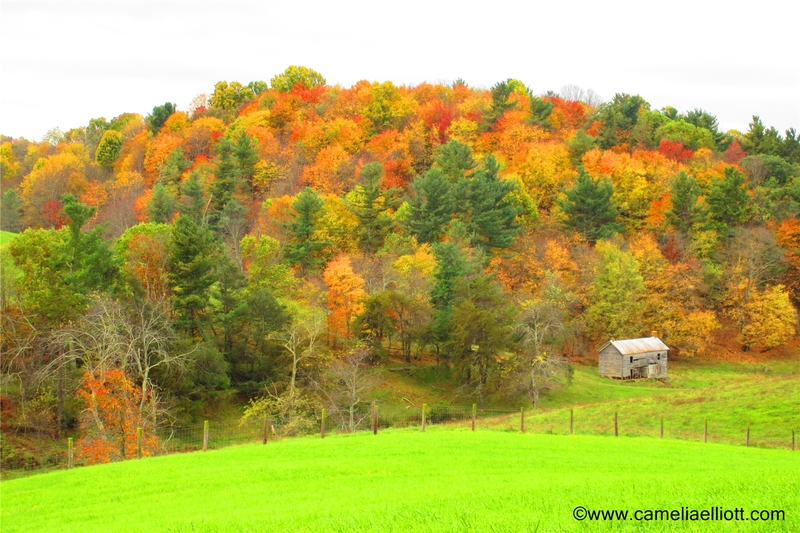 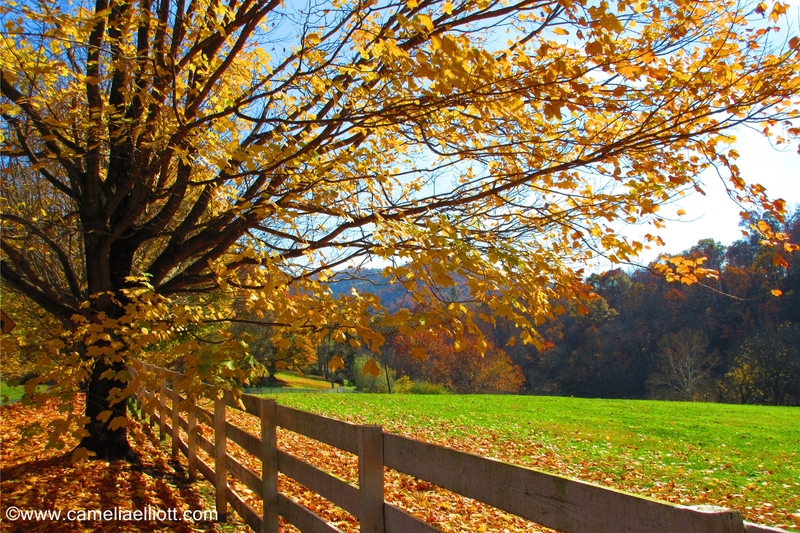 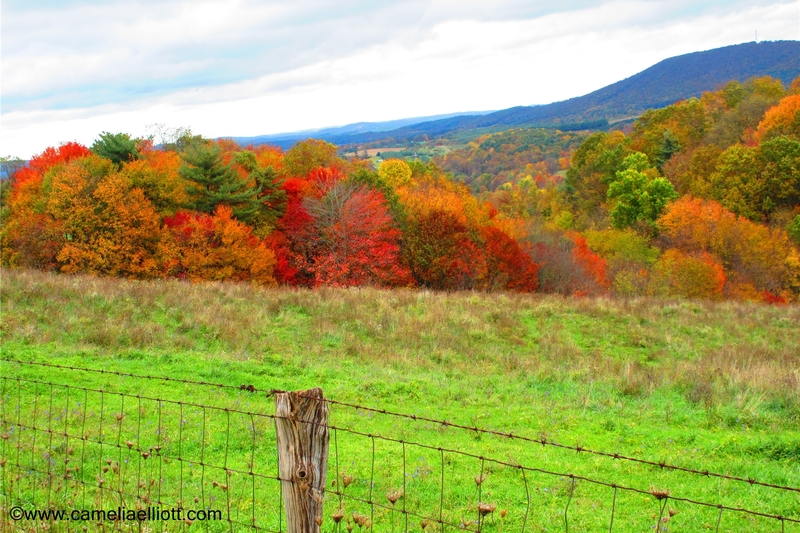 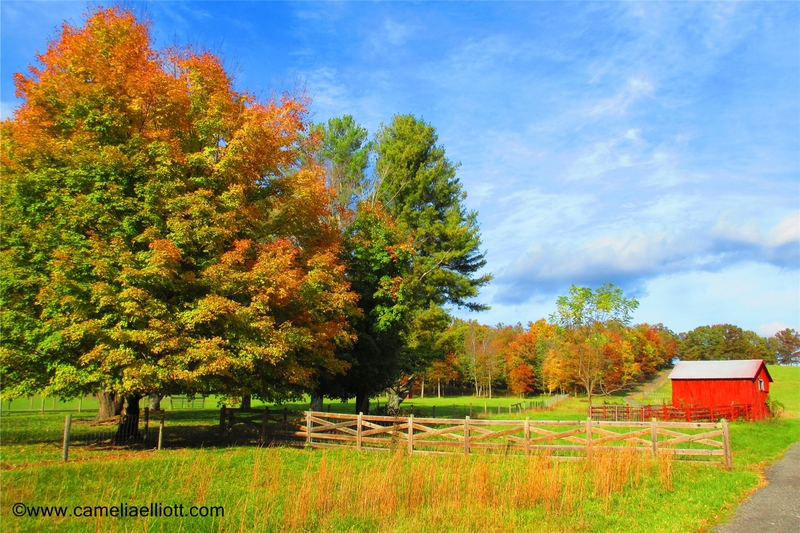 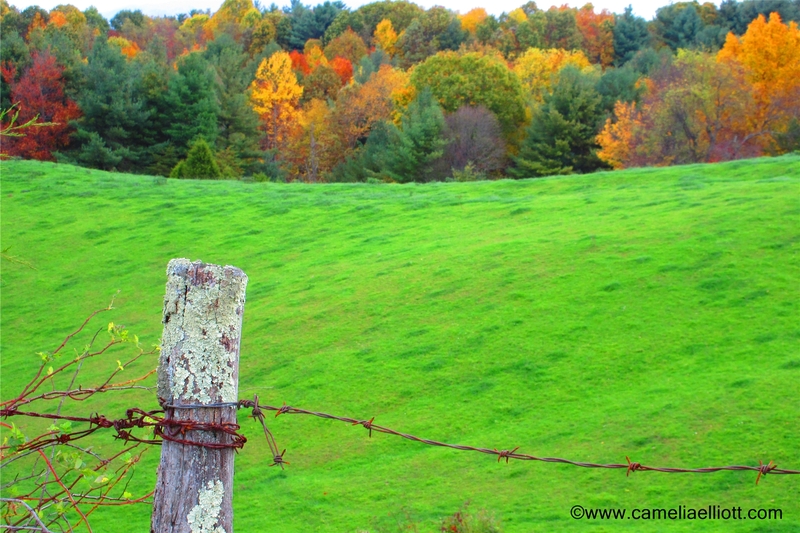 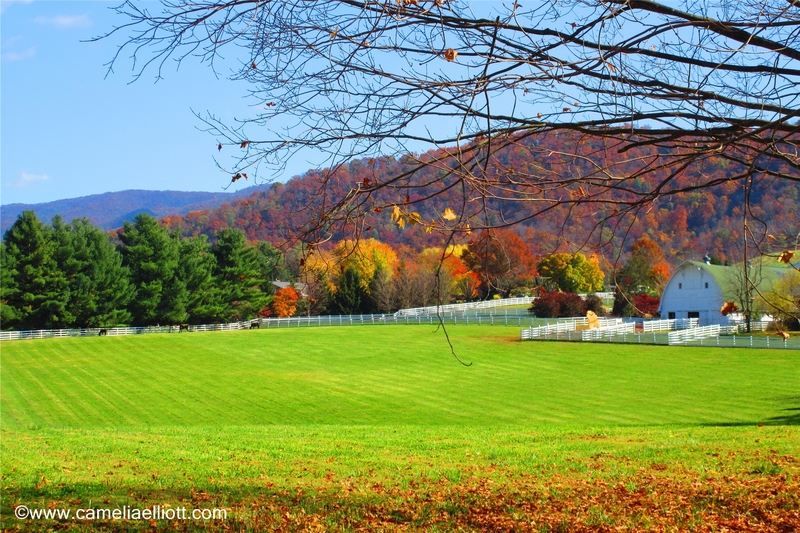 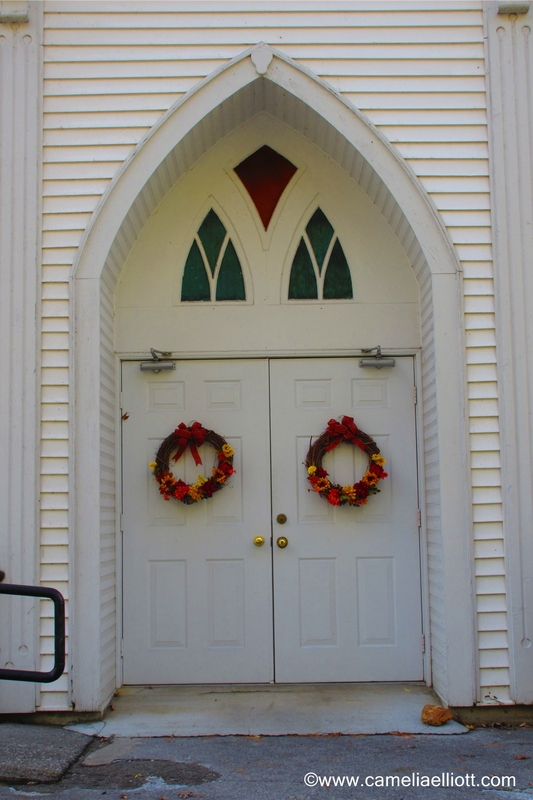 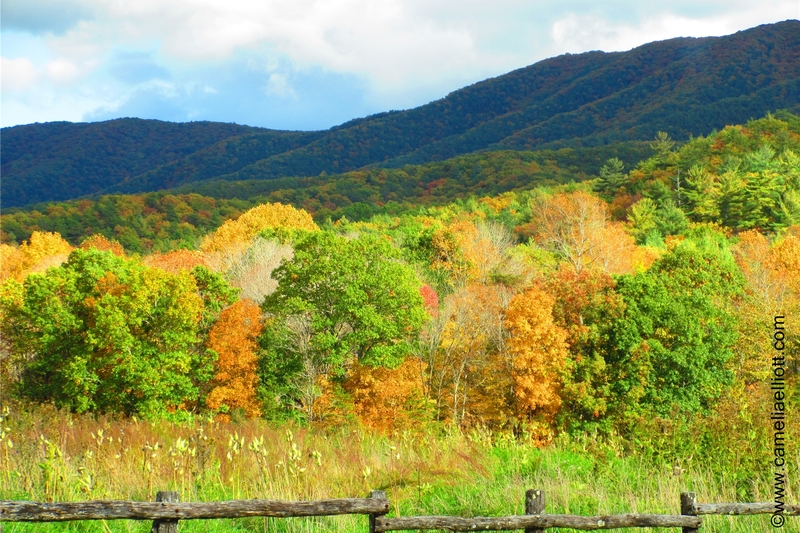 Today, I am sharing fall photos of barns, churches, gristmill, log home and old homeplaces. 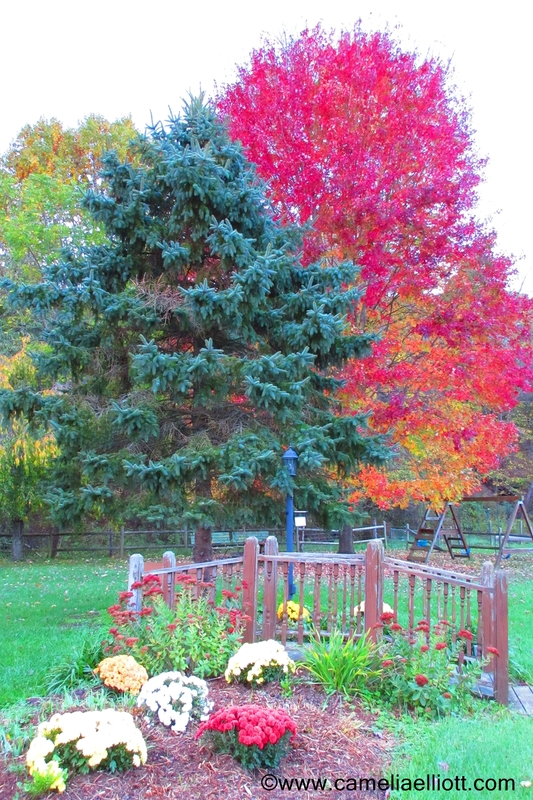 Historic Wimmer Mill on our road. 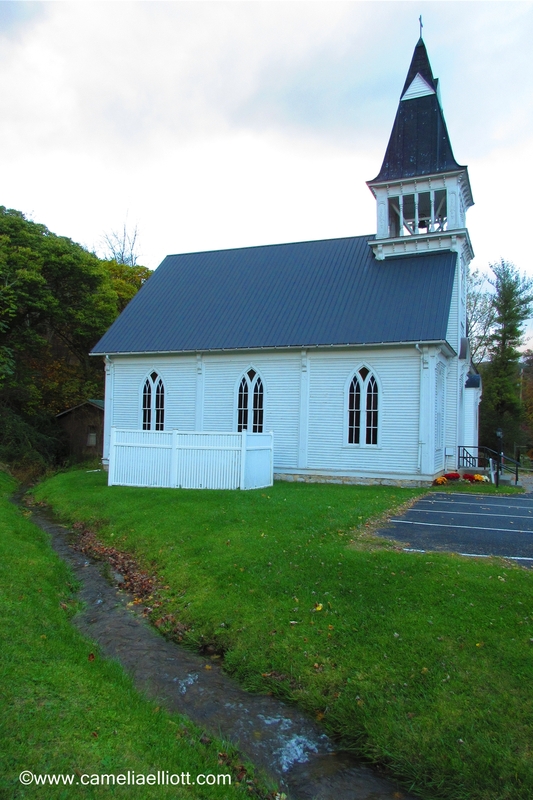 Beautiful historic church in Newport, Virginia (Giles County). 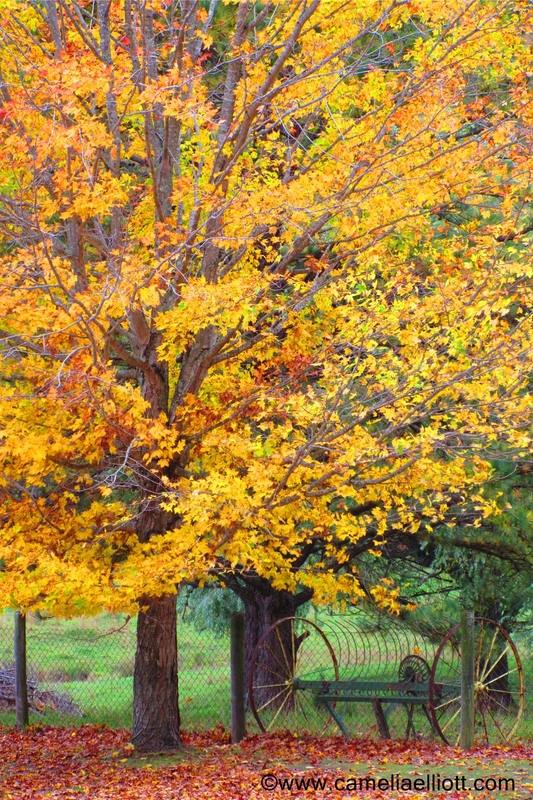 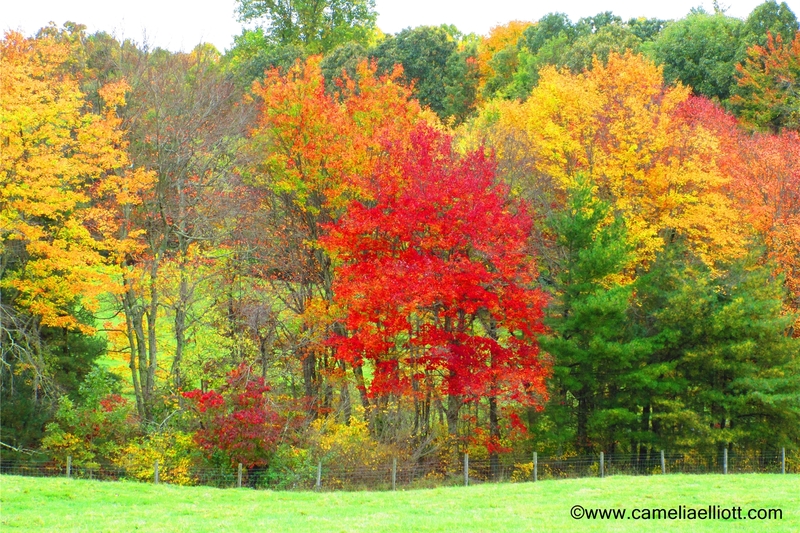 These are trees on our road that we have enjoyed every fall. 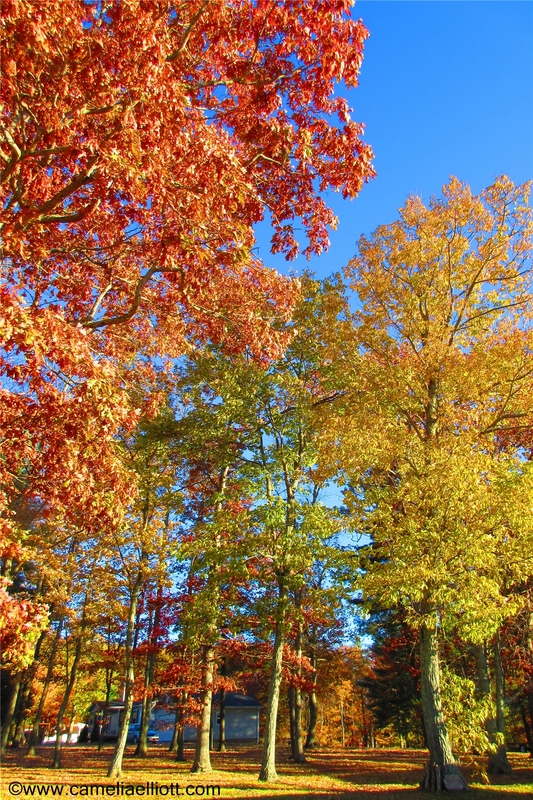 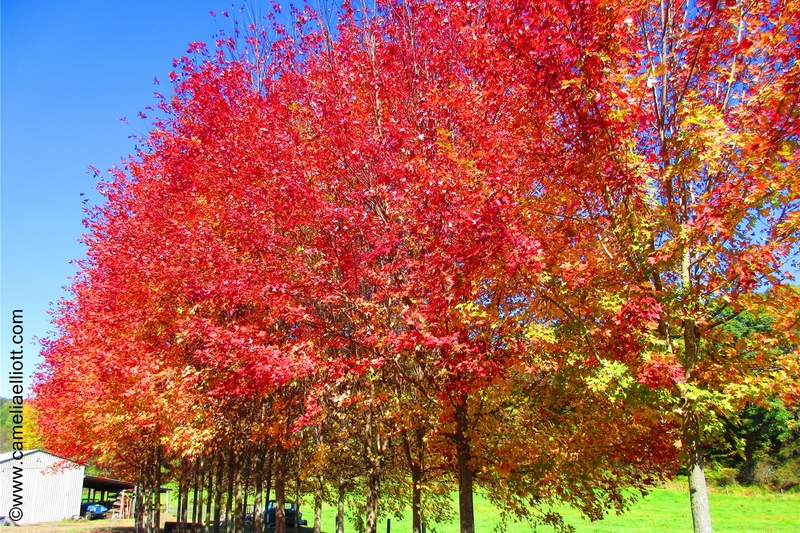 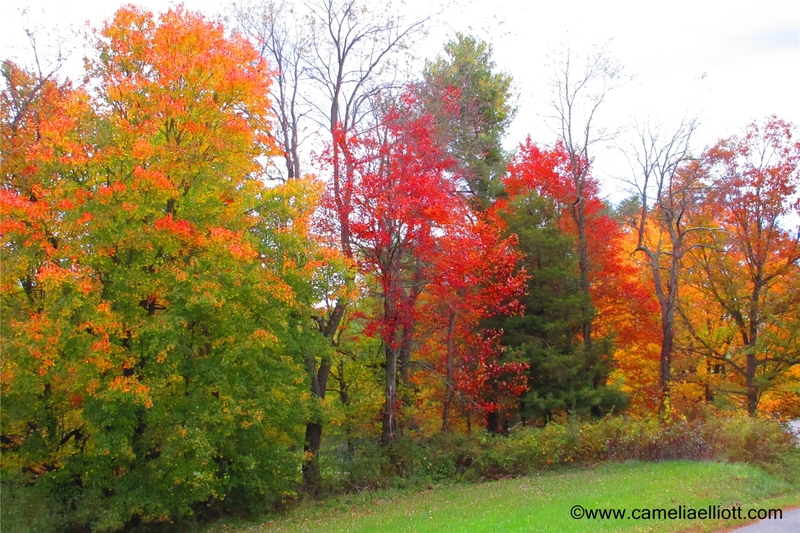 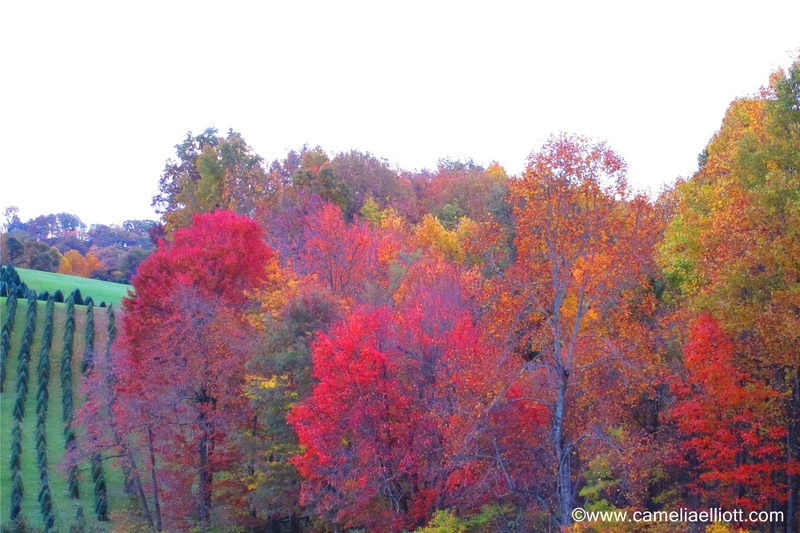 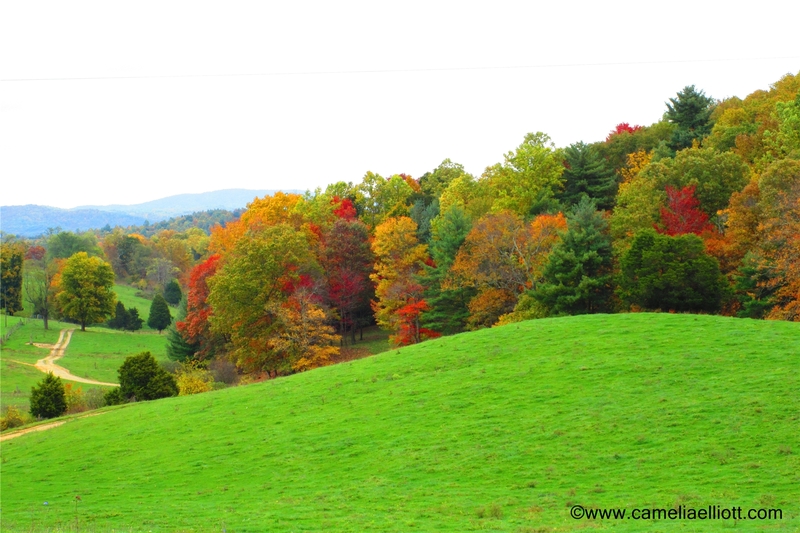 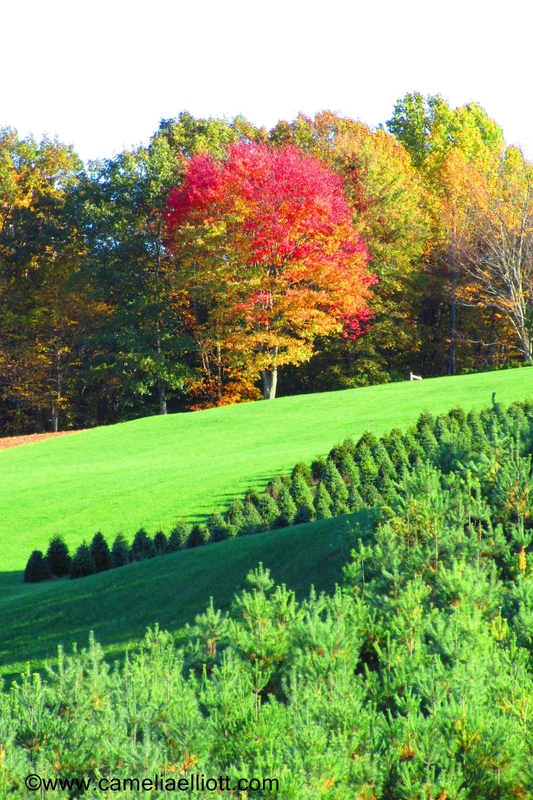 This is a grove of trees on our property with beautiful fall colors.